Anvyl is dedicated to building a better future for brands and manufacturers. It is the first supply chain technology platform for reputable brands and world-class manufacturers. 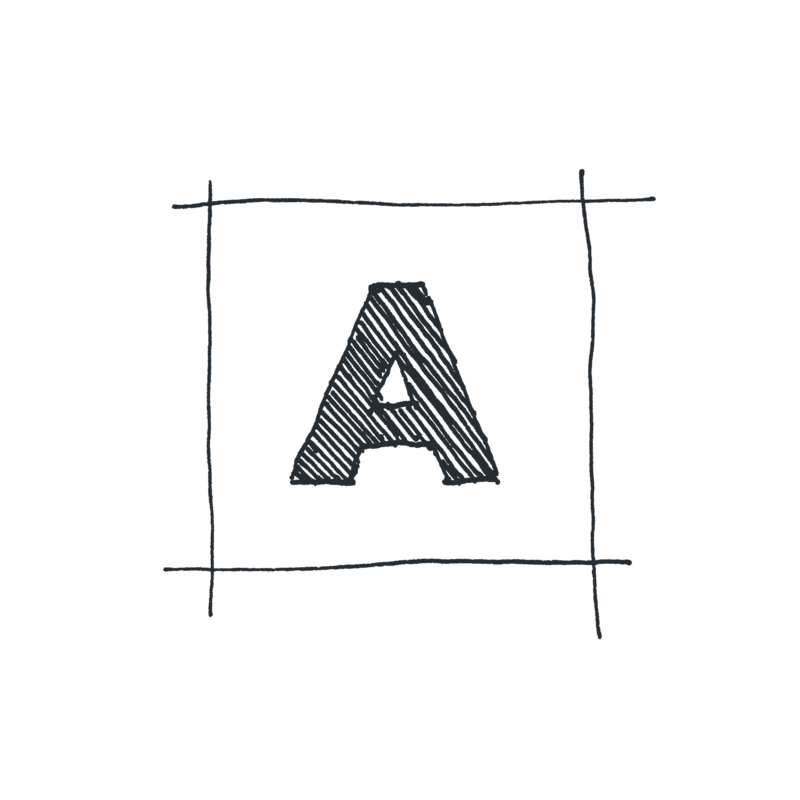 Anvyl came to us with a challenge: to help build their brand scratch. This included the logo design, positioning, brand identity as well as the design of marketing materials and a website. We took inspiration from the quality of their platform and built a brand that tells a powerful story about the problem they solve. We looked at Anvyl as the pioneer of an industry with a long history of making tools that help people. And to put it in context, they created something that has never existed before; a technology-powered, human-driven tool that helps people make products faster, cheaper and better than ever before. The design process began with a deeper look into the business model, the product offerings and how we could better understand the two primary audiences and their motivations. There is a direct link from the history of product building and the brand identity of Anvyl. 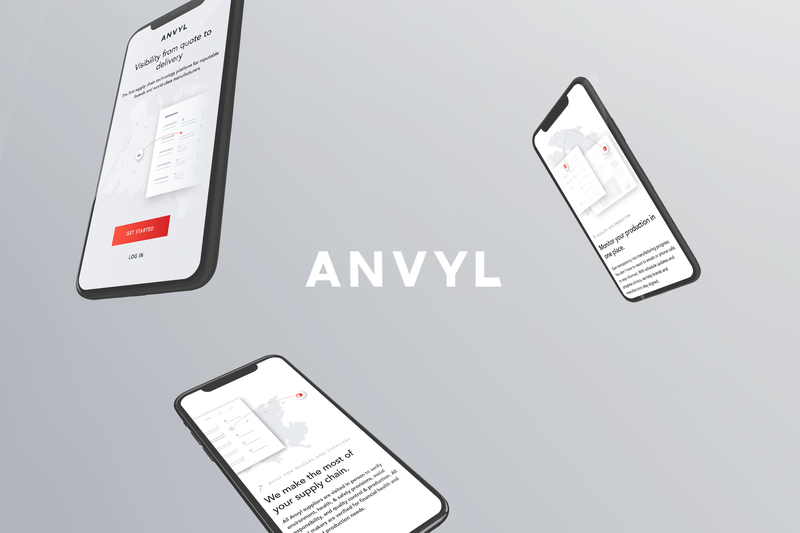 By extracting visual elements from technical product drawings and the color schemes from metalworking, we built the foundation of a meaningful brand for Anvyl. Heat is used in metalworking to be able to change the form of a metal. When hot enough, the metal changes its color to a bright red. Anvyl’s colors are inspired by this active and inactive state of metal through the metalworking process. We created numerous iterations for the website structure and methods to make the brand come alive in digital form. 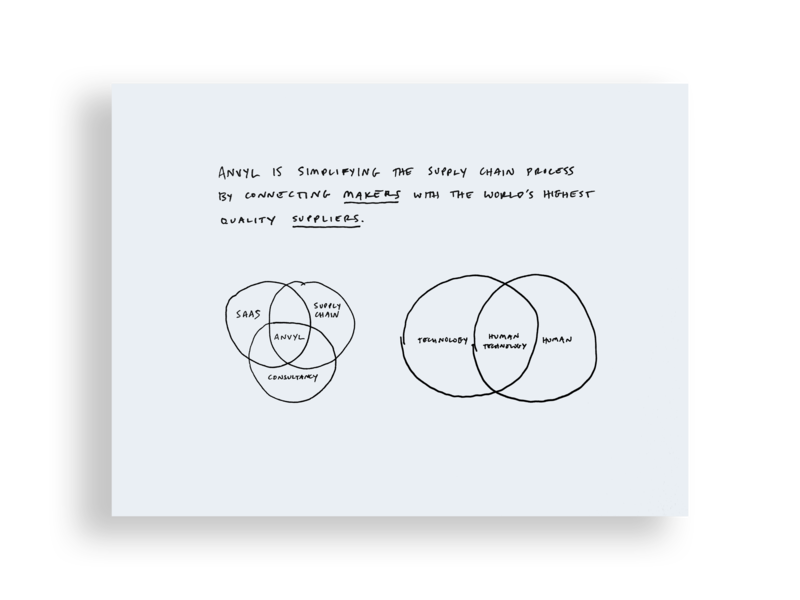 The iterations were incredibly important for testing options against our brand discovery research and strategy. By sketching and brainstorming, we were able to ideate and explore many design concepts quickly and effectively, allowing the best options to come to the forefront. 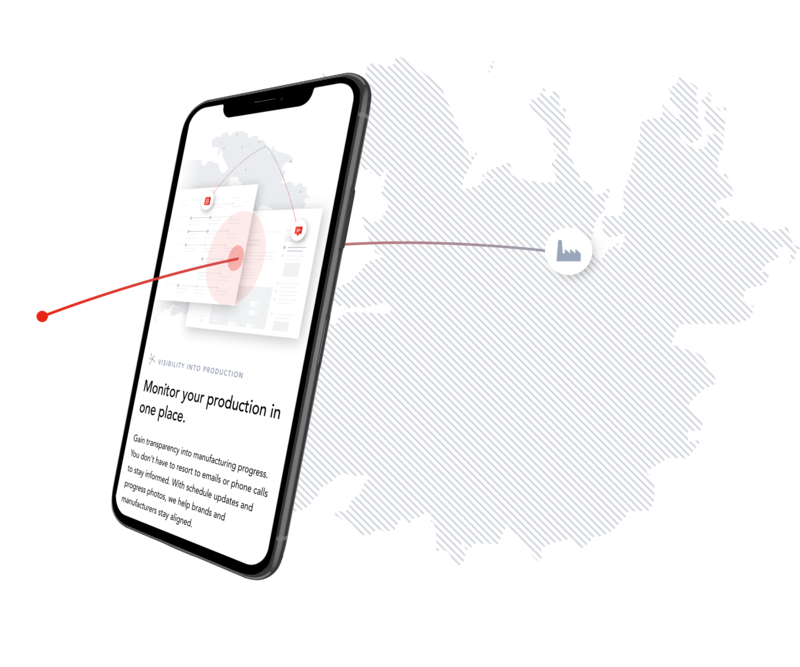 Both high and low fidelity prototypes were generated through the wireframing process to define the flow of information to both product makers and suppliers.